Lois Bernice "Dolly" Dowden married Charles Rodney Miller on September 6, 1958. Charles Miller passed on May 17, 1992. Lois Bernice Dowden Miller married David Thomas Elgar on November 12, 1994. 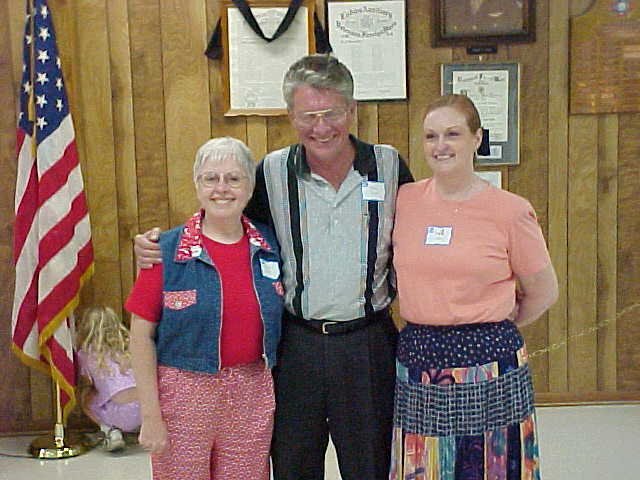 Melvin Dowden visits with David Elgar at the 2000 Dowden Family Reunion. 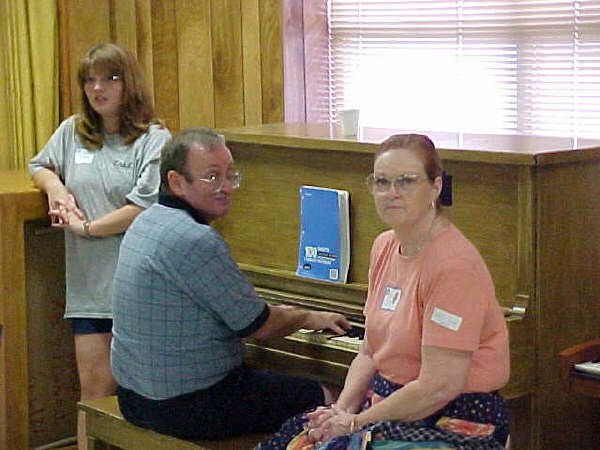 This picture was taken at the Dowden Family Reunion in Port Neches, Texas in year 2000. Bernice is seated next to her brother Ralph. Click DOWDEN to go up to Bernice's parents. Click MILLER to go up to his parents. Click ELGAR to go up to his parents. Click HERE to go back to the Main Index. From left to right, Dixie Dowden Tucker, Melvin Dowden, Bernice Dowden Miller Elgar. These children are from Bernice's first marriage.